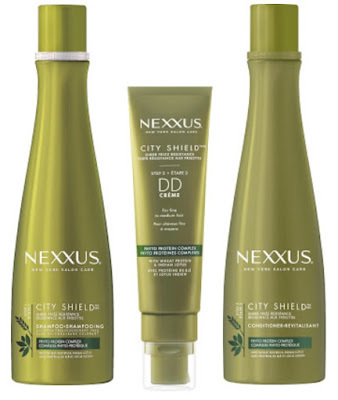 City Shield Shampoo - 400ml - $14.99 - designed to make all hair types more manageable with a silicone and colourant-free formula containing wheat protein and Indian lotus extract reawakens and smoothes hair that is stressed by urban environments. 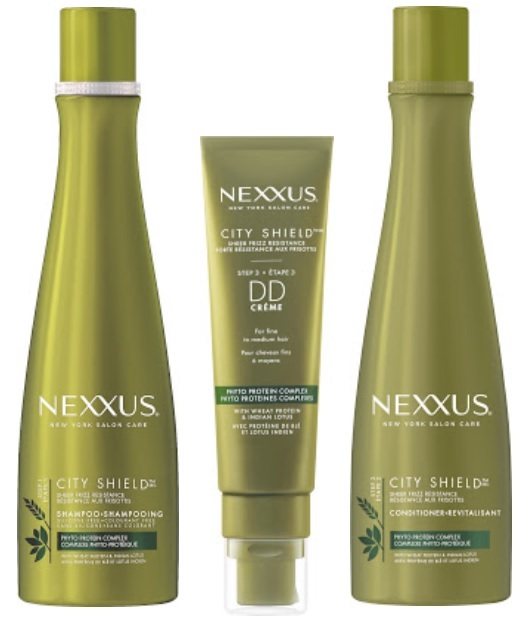 City Shield Conditioner - 400ml - $14.99 - with a salon crafted, Phyto Protein Complex formula that smoothes and nourishes hair, improving hair's manageability while restoring a protective barrier that helps to shield it from damage caused by the urban environment. City Shield Damage Defense Hair Crème - 60ml - $18.99 - a nourishing, leave-in cream that smoothes and shields straight and fine hair from city-life damage while also providing soft hold for your style. Hair is left protected and nourished, formulated with wheat protein and Indian lotus extract for a refreshing, manageable style that lasts throughout the day.